A side dish that you will definitely want to have on your table at your next barbecue. 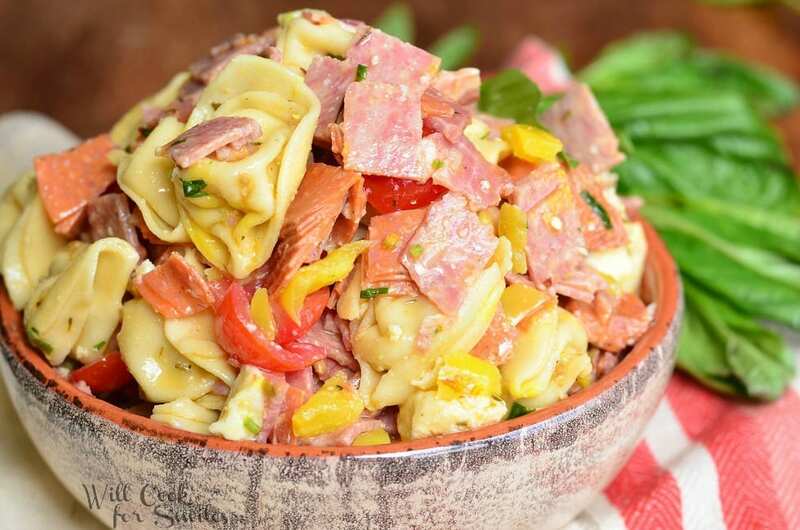 Tortellini salad loaded with salami, capicola ham, pepperoni, fresh mozzarella cheese, homemade basic Italian dressing and much more. Cook tortellini according to the package, drain well and transfer into a large mixing bowl. Drizzle with a little bit of olive oil so it won’t stick together and let it cool to room temperature, stirring occasionally. Chop meats, tomatoes, banana peppers and cheese. Add it to the cooled tortellini in the bowl. Mince herbs and add it to the mixing bowl as well. Add some salt and mix well. In a jar with a lid, combine ingredients for the dressing. Close the jar and shake well. 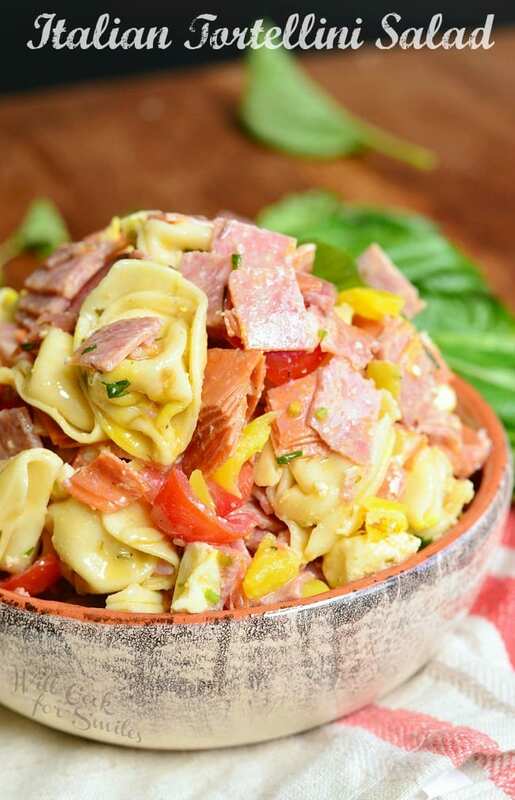 Pour dressing into the bowl with tortellini mixture and mix until fully incorporated. Cover and refrigerate salad before serving.